nicer. In short, we pass over the details… and the whole bike even though it only weights 3.3 kg. The second bike really shows creativity and assembling effort. Basically, every light bikes are all black because of the carbon. This one follow the rule. The touch of metal are rare. pricey. Let’s see together what are the particularities of this 3610g machine. 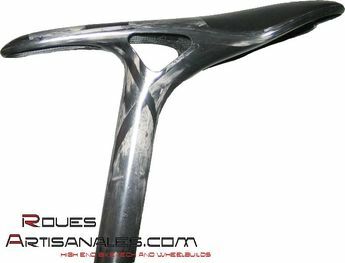 The fork is coming from the german manufacturer THM Carbones. With some modifications, it is only 221g. like all the Generation 3 Obermayer and Standard wheels. It makes them look a little like the Mavic CCU. all around 760g and 790g. The Challenge 700 feature several details, which will be used for the later Obermayer wheels. line. The weight of this combo is incredibly low: 104,9g! Ergopower body. It seems like it is a real future best-seller for all techno-weenies. 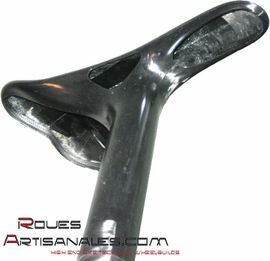 is a standard Record on the handlebars. It is actually not a standard shifter, several parts have been lightened or removed. The derailleurs are from Lightweight or Campagnolo Record. The rear one is less than 100g, this is the latest baby of Carbon-Sports, which is not really available yet, but it is already tuned…! Normally you have to count about 120g for the derailleur, change the jockey wheels to save 10g, make it perspire a bit more with alloy bolts for an extra diet. 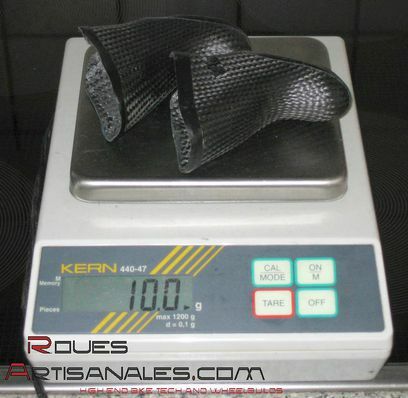 in in carbon, etc… 32,2g for the whole component! longevity. 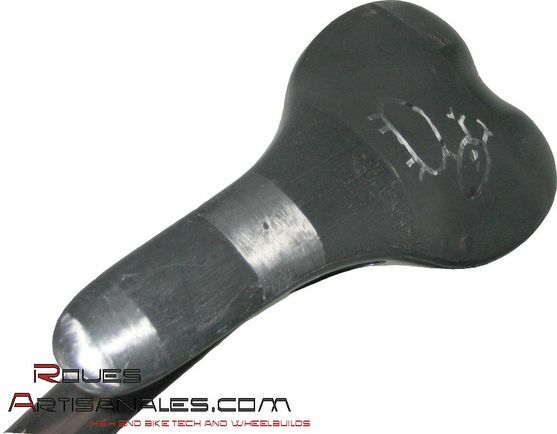 It will wear quicker than a traditionnal cassette but still, you can ride thousands kilometers with it! they are excellent. The only thing we have to worry about is to reduce the power while shifting. You can expect from 2000km to 5000km depending on the using mode and the cleanings! Sebastian Roth, presents us his 6,6kg mountain bike!